"Martin keeps the twists and turns coming in the sensuous and spirited first Maximum Security romantic thriller.... Readers will find it hard to wait for the next book in this tantalizing series about detectives, bodyguards, and bounty hunters." 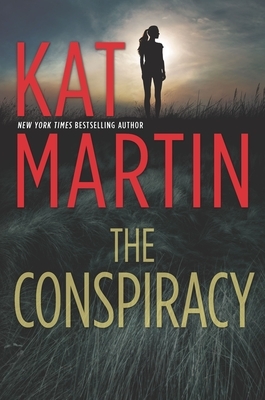 --Publishers WeeklyNew York Times bestselling author Kat Martin raises the tension and the passion when family ambition turns deadly...Harper Winston's brother has disappeared. Pursuing his dream of sailing the Caribbean, Michael hasn't responded to texts or emails in days. When even the Coast Guard can't find him, Harper is forced to take desperate measures. Which means going to Chase Garrett, once her brother's best friend, now the only man she can trust...or so she hopes.As the successful owner of Maximum Security, Chase has learned to trust his gut. He knows Harper's father is mixed up in a deadly business, and suspects there's more to Michael's disappearance than meets the eye. Getting involved again with the Winstons goes against everything he stands for, yet old loyalties die hard. As the case draws him closer to Harper and deeper into the Winstons' snarled crime family, he is forced to put everything on the line to keep Harper safe...and both of them alive.